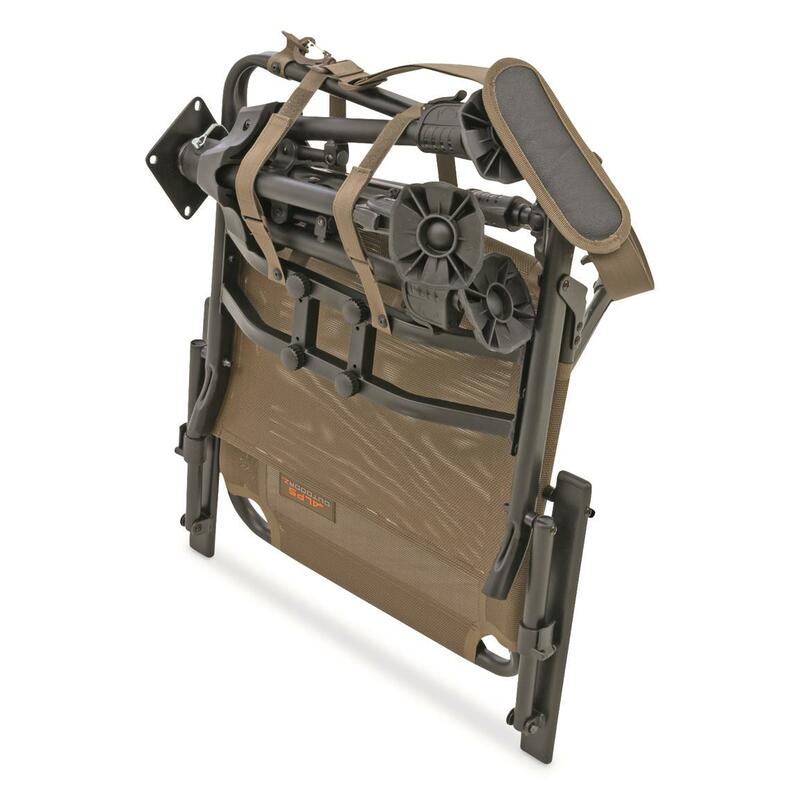 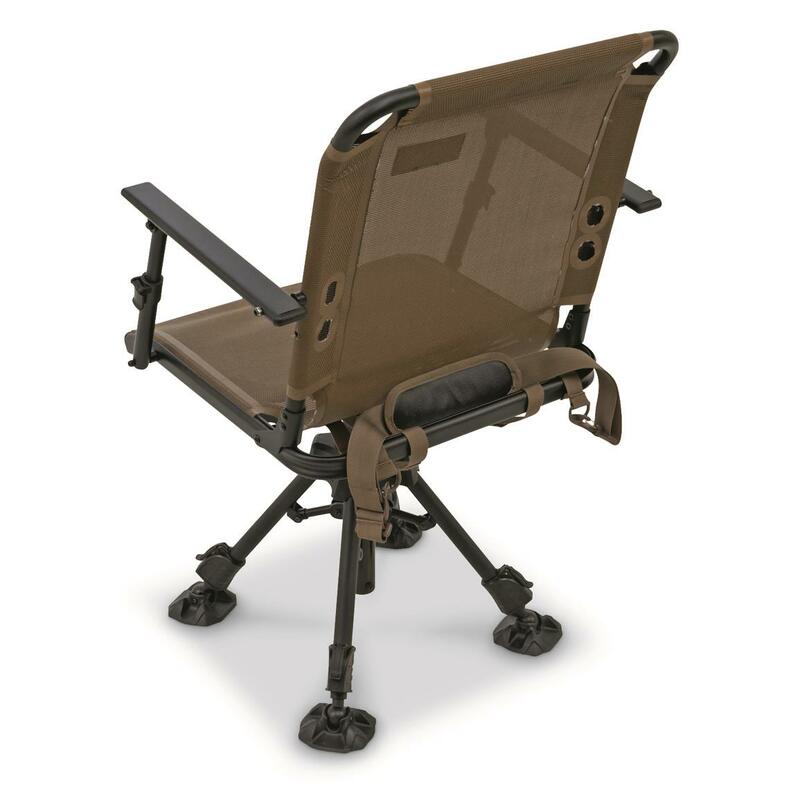 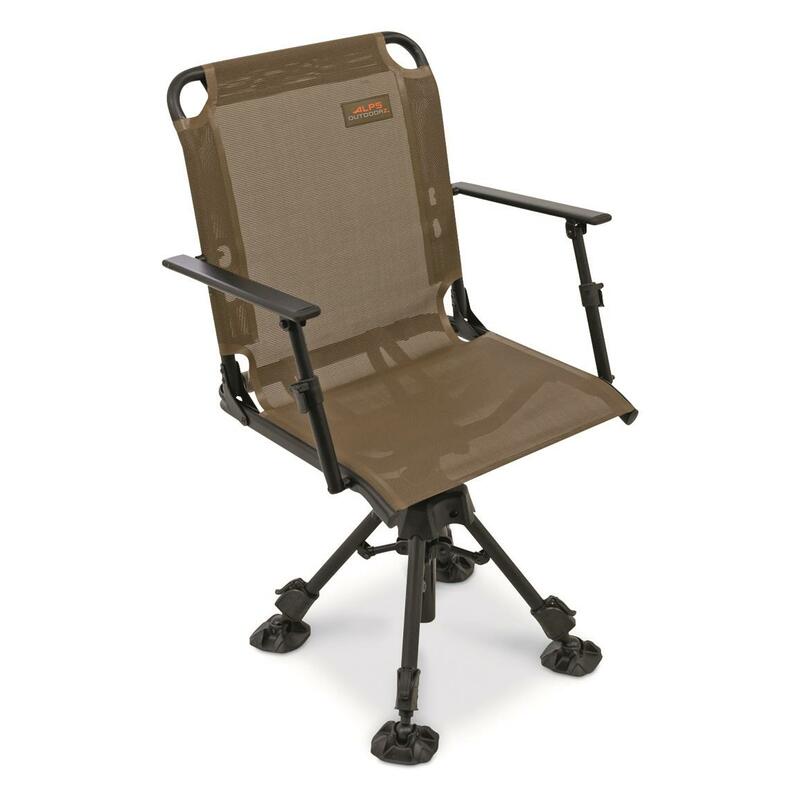 Made from powder-coated steel and TechMesh fabric, the ALPS OutdoorZ Stealth Hunter Deluxe Chair will keep you comfortably alert through shooting hours. 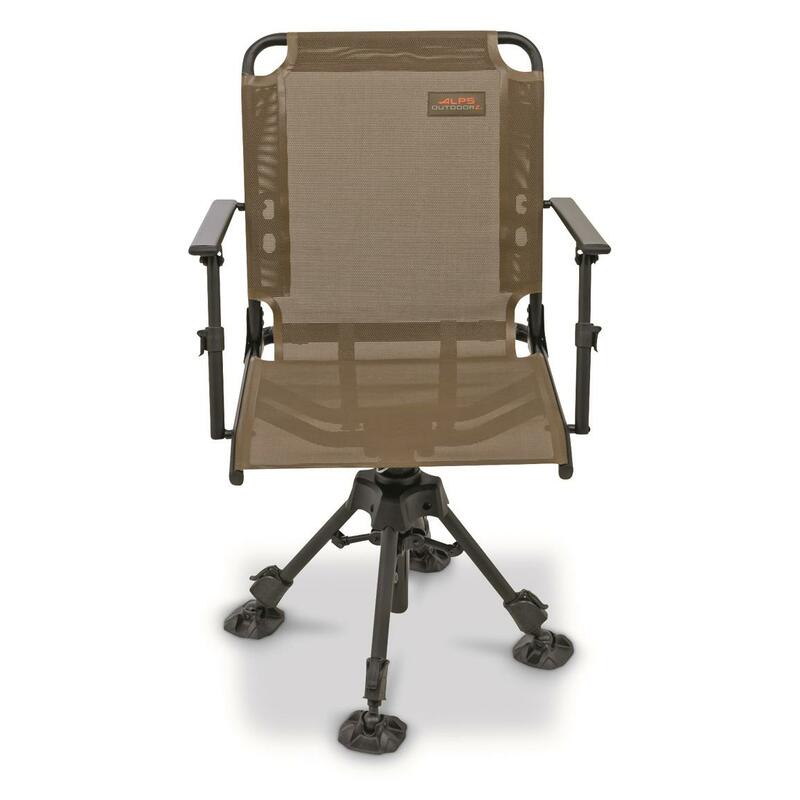 It features 4 independently adjustable legs with large foot pads for stability, plus it even rotates 360 degrees for easy visibility in all directions. 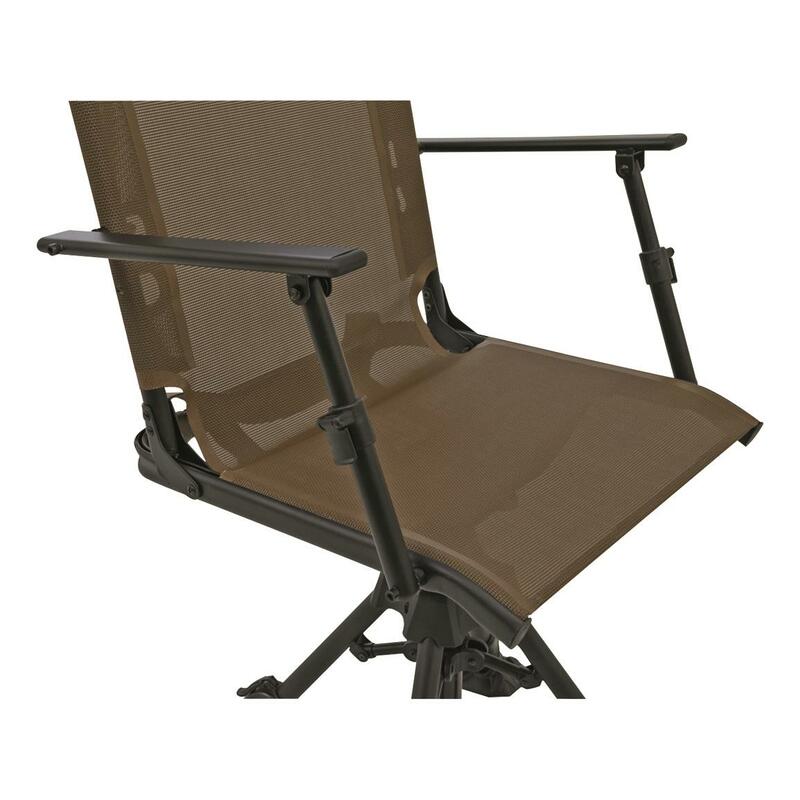 Seat Height: 17.5" - 23"
Dimensions: 22.5"w. x 14"d. x 37"h.